@EngageFashion Sure, it’s simon@central-retail.co.uk We are a retail property consultancy fyi . Thanks! Central Retail has been part of the development and leasing team for the Broadway Bradford since its inception. We have been involved with the CPO, land assembly and negotiating vacant possession. The Broadway Bradford was the largest shopping centre development to open in the UK in 2015. Central Retail, as part of the leasing team for Unibail-Rodamco-Westfield/Meyer Bergman has helped deliver major new lettings to retailers including Debenhams, M&S, Next, H&M, Topshop, River Island, New Look, Superdry, Boots, JD, Paperchase, Office and Body Shop. For further information on space available please contact either Simon Lyons or Tom Limbert. Central Retail is one of the UK's leading property consultancies advising owners and occupiers on all aspects of Retail and Leisure property. Using our thorough understanding of the retail occupational market, we provide comprehensive advice on leasing new developments. We provide input into the master planning, site assembly and scheme design, as well as detailed market information to formulate appraisals. Having pre-leased for Land Securities the 1 million sq ft TrinityLeeds Shopping and Leisure Development (opened March 2013) and Westfield / Meyer Bergman's 570,000 sq ft The Broadway Bradford we have a proven track record of delivering successful, high quality Shopping Centres. We have a proven track record of leasing shopping centres across the UK, where we act on behalf of landlords, including Land Securities, Westfield and Intu. This is where we really excel – our "Can Do" attitude to leasing consistently achieves the best results for our clients. We advise a variety of clients on the acquisition or disposal of retail property investments. Our close relationship with retail occupiers gives us an unrivalled ability to understand changes in the occupational market and therefore advise on how that could impact on investment strategies, sales or purchases. We undertake store acquisitions and disposals on behalf of a number of national retailers in high streets, retail parks and shopping centres throughout the UK. We undertake rent reviews and lease renewals on behalf of landlords and tenants. We will also secure commercial advantage for our clients, when there is opportunity through lease re-gears. Established in 1999, Central Retail has grown to become one of the UK’s leading consultancies in Retail and Leisure property. We have extensive experience of the occupier market and represent many of the UK’s leading institutions, property companies, developers and national retailers/leisure occupiers. With experience working in London's West End we are strategically placed to advise on all retail and leisure property matters throughout the UK. Acting on behalf of Queensberry Real Estate and Barnsley Council, we have been appointed as leasing agents on the 350,000 sq ft retail and leisure redevelopment. Pre-lets have been signed with Next to anchor the retail element of the scheme and Cineworld are signed up for a 13 screen cinema. Phase One of the scheme will open Spring 2019 with Phase Two opening in Summer 2020. For further information please contact Tom Limbert or Simon Lyons. Meyer Bergman's 570,000 sq ft shopping centre opened 5th November 2015. 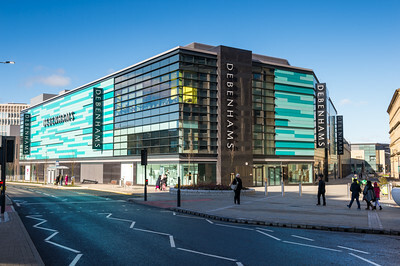 Anchor Tenants include Debenhams, Marks & Spencer, Next, Boots, River Island New Look and JD. For further information please contact Simon Lyons or Tom Limbert. 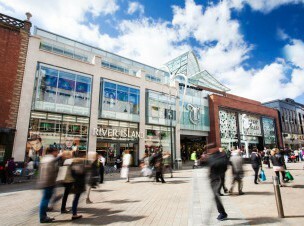 Victoria Leeds is the most upmarket Retail destination of any shopping centre in the UK (excluding retail outlets). Anchored by John Lewis and Harvey Nichols, with a superb international Tenant line up including; Coach, Church's, Vivienne Westwood, Louis Vuitton, Paul Smith, Calvin Klein, & Other Stories, Anthropologie, Cos and Mulberry. Acting for Queensberry Real Estate and Sheffield City Council we have been appointed as leasing agents on Phase One of the Sheffield Retail Quarter, which consists of approximately 650,000 sq ft of retail and leisure accommodation in the heart of the City Centre. Phase One, which will be opening in Summer 2019, consists of 65,000 sq ft of retail and leisure accommodation at ground floor underneath 160,000 sq ft of office accommodation which has been pre-let to HSBC for their flagship regional office. The 200,000 sq ft Coppergate Shopping Centre is the only shopping centre in York City Centre and is anchored by a 40,000 sq ft TopShop, M&S and Fenwicks. For further information please contact Tom Limbert. Simon has worked in the Retail Property Industry for 30 years. Having worked as a Director at Churston Heard (now JLL) in London for 11 years he established Central Retail in 1999. Advising both retailers and landlord’s across the UK has given him a valuable and comprehensive understanding of the prime occupational retail market. 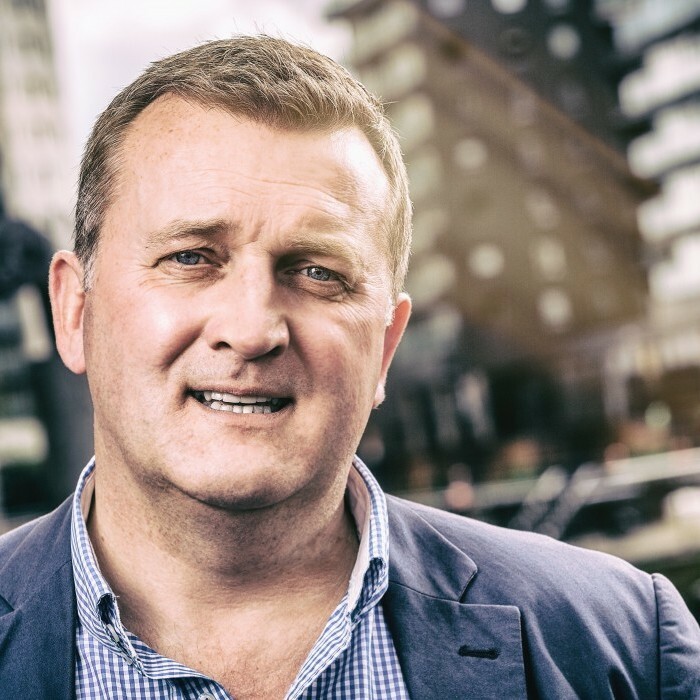 Simon has been involved in numerous acquisition and disposal projects for many of the countries leading retailers and was responsible for bringing Harvey Nichols to Leeds for their first store outside of London as well as acquiring one of the largest UK stores for Primark in Meadowhall. He has acted for some of the UK’s largest shopping centre developers to advise on complex site assembly, scheme extensions and major development projects. Some of the clients he works with include Hammerson, Meyer Bergman, Unibail-Rodamco-Westfield, Landsec, Intu, Five Guys, Pizza Hut, Primark, MOD Pizza, Vision Express, Inditex and Next. Tom joined Central Retail in 2002 having previously worked in the retail agency teams at Donaldsons and JLL. 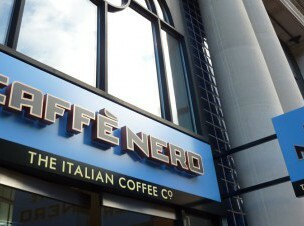 Advising both Landlords and Retailers across the country, Tom has acted for Caffe Nero for over 10 years, acquiring over 50 stores. 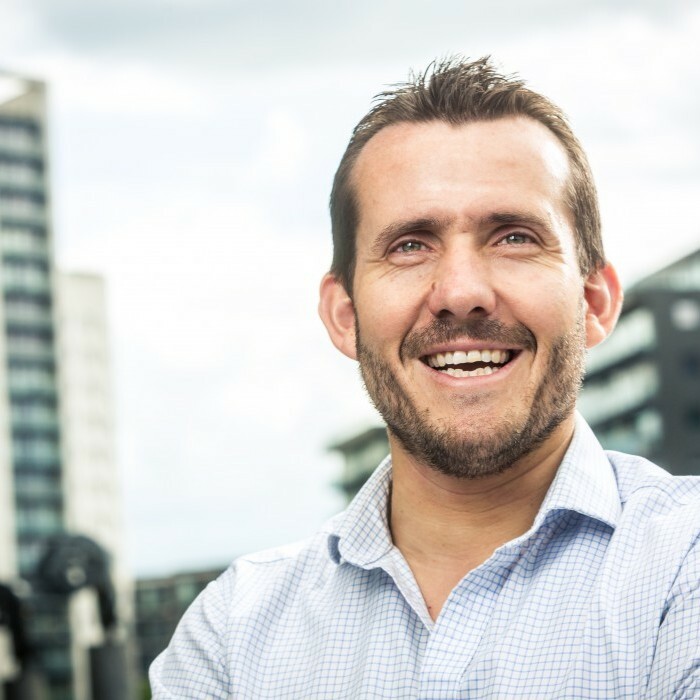 Tom acts on both Shopping Centre instructions and the High Street and his clients include Land Securities, Meyer Bergman, Queensberry Real Estate, Caffe Nero and Rigby and Peller.